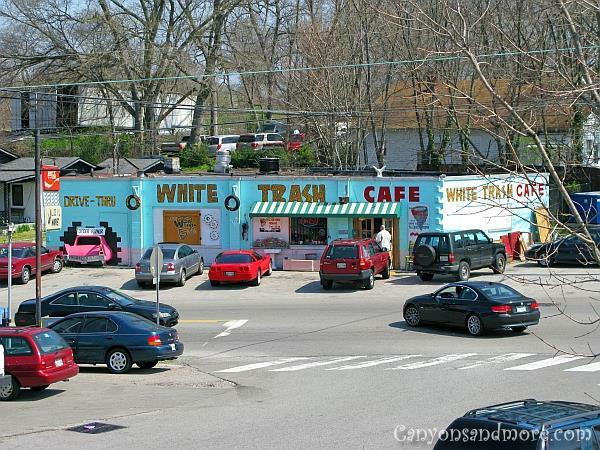 These images feature highlights of Nashville, otherwise known as “Music City, U.S.A.”. 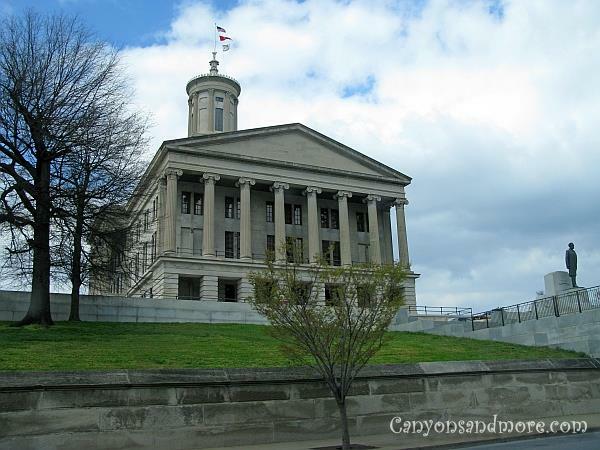 Nashville is also the capitol of Tennessee and is world known as the home of country music. 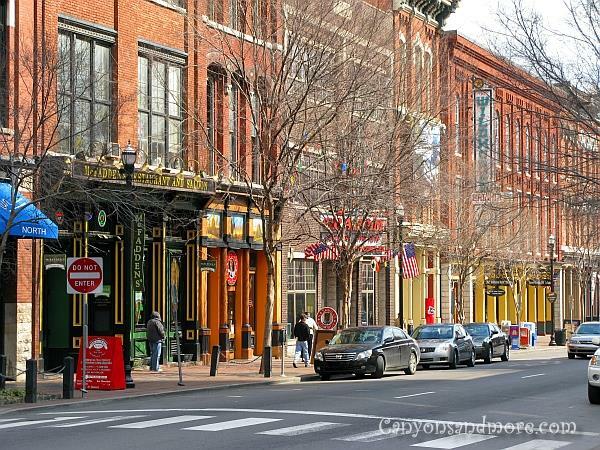 In and around Nashville you will find plenty of possibilities to enjoy time while visiting the city. Take a showboat ride on the Cumberland, enjoy the Cumberland Science Center, visit the Opryland Hotel, see the Grand Ol’ Opry Show, go to the Ryman Auditorium (the home of the original Grand Ol’ Opry Show), visit the Country Music Hall of Fame, learn about Tennessee history at the Tennessee State Museum and head over to Centennial Park to see the replica of the Parthenon. 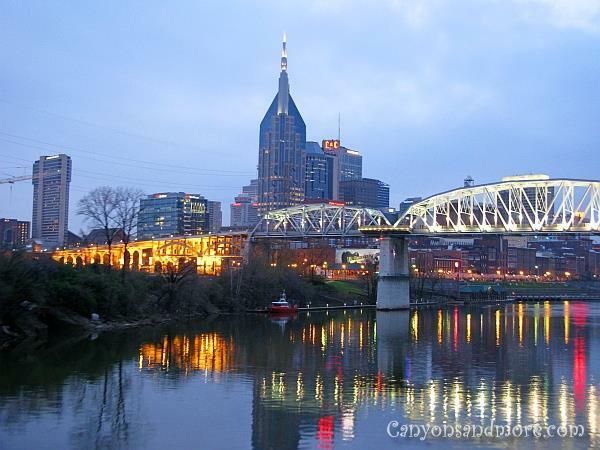 The image above of Nashville was taken while travelling on the Cumberland River on the General Jackson Showboat. Not only do you get a great meal and a good show on the showboat, but an obviously lovely view of the city skyline as well. There was a time when downtown Nashville was booming and busy with tourists and shoppers. There were great stores like Cain Sloans, Caster Knotts and Harveys that kept the people coming. Somehow the stores started to close and it became like a ghost town. A sad sight for those who grew up in Nashville and remember how it used to be downtown. A few places remained and some new ones have been added but it seems to have never regained the attractiveness it had before the 90’s. 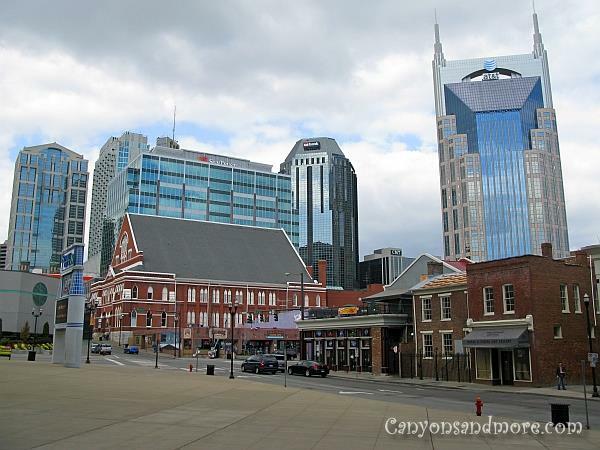 The image shows downtown Nashville with the Ryman Auditorium and the “Bat Tower”. Completed in 1859, the Tennessee State Capitol Building is the office of the Tennessee governor and the home of the Tennessee legislation. 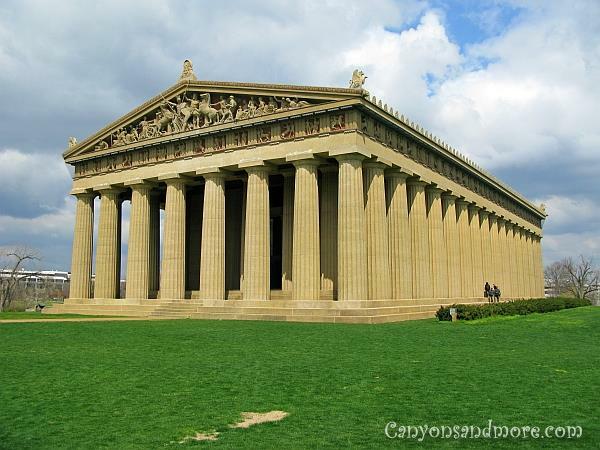 Nashville is home to an exact one to one copy of the Greek Parthenon. Located in Centennial Park, it is an art museum and home to an impressive replica of the Athenos Parthenos statue. While at Centennial Park you can also stroll over to the train and plane attractions. 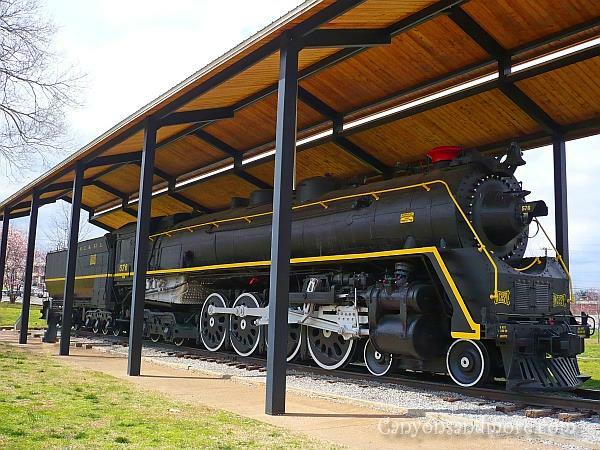 No fee is required to see this most impressive historical lomotive located in Nashville in the heart of Centennial Park. Nashville is not known as “Music City, U.S.A.” without a reason. Downtown Nashville is the place to go to catch the country music scene... and other types of music as well. Many locations and clubs can be found on the 2nd Avenue as well as a few souvenir shops. Probably one of the most famous country music locations on this street is the Wildhorse Saloon. 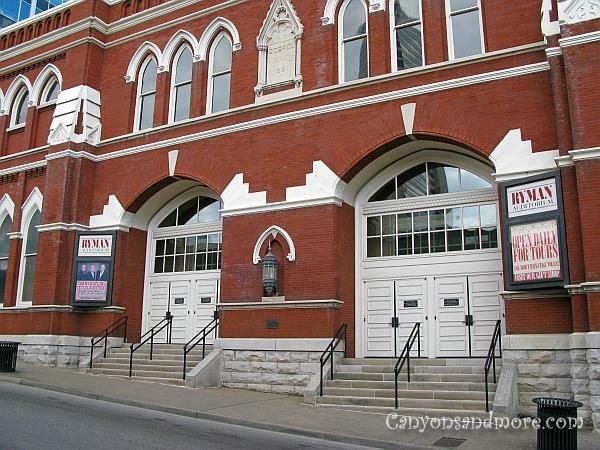 The Ryman Auditorium, the home of the Original Grand Ol’ Opry was the beginning platform for many stars. Here they found their beginnings at this concert hall. Daily tours are offered and evening shows can still be enjoyed at this historical place. A cruise on the General Jackson Showboat is well recommended. 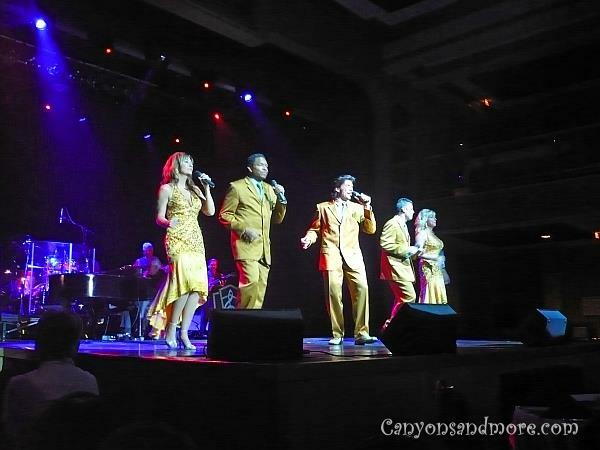 Live music can also be enjoyed with dinner and the cruise takes you down the Cumberland River in the direction of Nashville to observe the skyline in the dusk hours. This is a great opportunity to take pictures of the skyline from a different point of view. What a funny name for a dining location. This location served southern style comfort food in a most unique way. 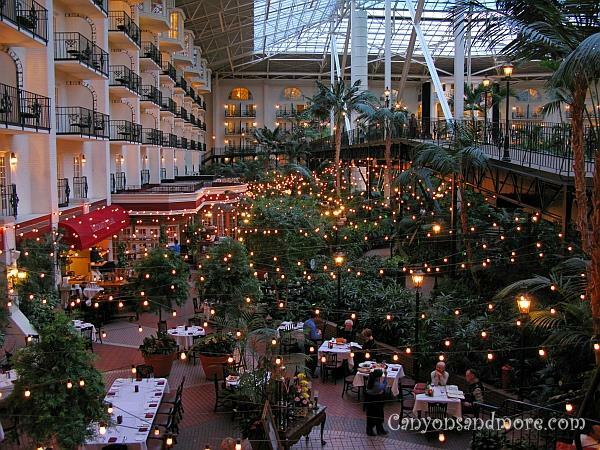 The Gaylord Opryland Hotel is not only luxurious, but also very impressive. This hotel is an attraction in itself and a highlight of Nashville. Once in the hotel, you dive into a tropical landscape of waterfalls and fountains and eat or drink at one of the several locations there. It feels like a typical warm summer’s day in the south due to the tropical atmosphere of the foyer. The hotel is not only for overnight guests of Nashville but is also an attraction open to the public.